CPC 925 GPS Unique design, advanced features, GOTO accuracy, and superb optics. You get the picture. 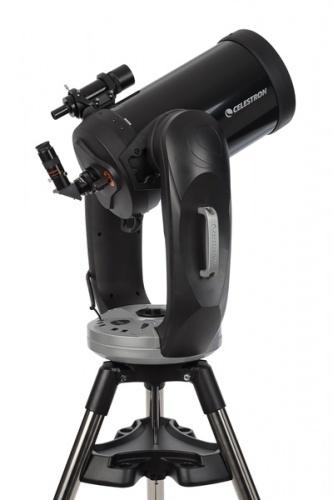 Celestrons 9.25 optical system has enjoyed a loyal following since we first introduced it with our Ultima 9.25 in 1995. Now the 9.25 optical tube is coupled with Celestron's newest computerized telescope family the CPC GPS series. The 9.25 was already a favorite among astrophotographers and discerning visual observers and it offers 33% more light gathering than our 8" model. 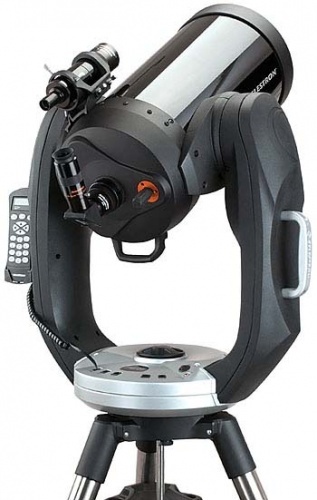 The CPC 925 GPS was specifically designed for visual infinity focus when using 2" eyepieces and has an optimized baffle system to benefit astrophotography by minimizing vignetting at the edge of the field of view. Its longer primary focal length and lower magnification secondary mirror contribute to a flatter field of view at the focal plane and helps to further reduce optical aberrations. 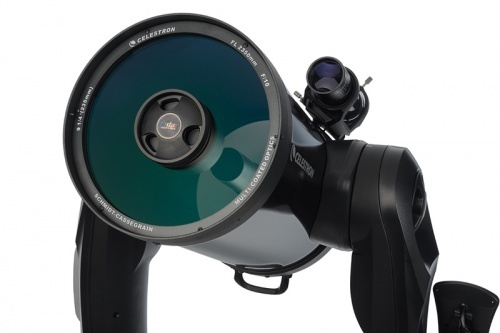 This telescope had good reviews, but I didn't expect it to be so good. It's a bit heavier than I thought it would be, but I have it permanently mounted, so it's not an issue. THe first look at Jupiter was amazing. So much detail was visible. My main interest is double stars, and it has the clarity for me to split some really tight doubles. My personal favourite, Porrima was easily split and looked wonderful.